Lock in a great price for Hotel Atrium – rated 8.2 by recent guests! I like the location and the hotel. It’s very close to the most of the attractions and subway is doorstep as well as the bus stop. The location was very convenient, close to the general 24hr store, close to two subway stations. Buffet breakfast, great selection, ample seating, great service and attentive staff, fresh salads and fruits, great yogurt, and overall very good value. I liked the lights in the room where the room key completed the circuit and controlled the electricity in the room. Excellent lunch buffet 3 days in a row. English speaking front desk staff very helpful. Very convenient location. 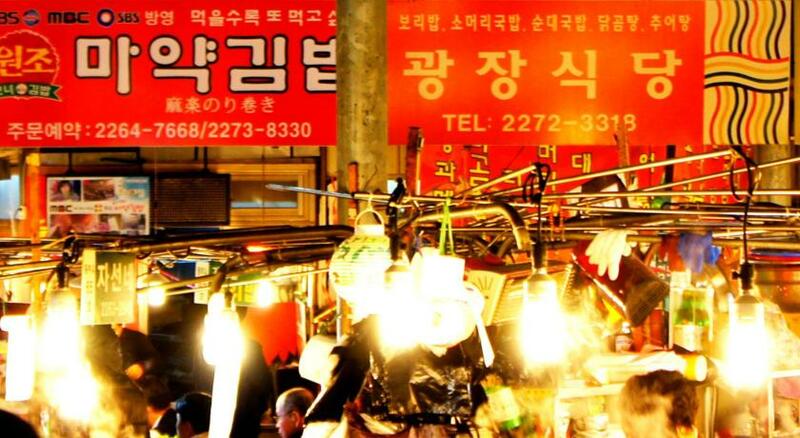 Waking distance from Gwangjang market and other tourist spots in Seoul. The staff were very nice and accommodating. The bed was big and comfortable. The hotel doesn’t provide toothbrush and toothpaste so make sure to bring your own if you’re staying here. The location for it was near a subway line and has a lot of dining options and convenience stores nearby. It was not really at the heart of it all which makes it quite peaceful. There were four of us so it was quite economical and convenient for us to grab a can and have it bring us to where we wanted to go. Decent value for price. Family suite was a okay size considering it is Asia and what you pay. Breakfast was okay; mix of korean and american but seems the same everyday. Umbrellas available to borrow with 20,000W deposit. Sufficient channels on TV. Staff spoke English but not fluently; it was easier to speak with them in Korean. Hotel was relatively quiet. Housekeeping did a good job. The location was excellent, and room was quiet and clean enough. One of our top picks in Seoul.Offering a spa and wellness center, Hotel Atrium is located in Seoul. The 4-star hotel is located a 7-minute walk from Jongno 5-ga Subway Station and provides facilities like a spa and wellness center and a breakfast service. Wi-Fi is available for free. The rooms here will provide you with a flat-screen TV, air conditioning and a mini-bar. Complete with a refrigerator, the dining area also has an electric kettle. Featuring a shower, private bathrooms also come with free toiletries. Extras include a desk. Views of the city can be enjoyed from all the rooms. At Hotel Atrium, you will find a 24-hour front desk and a business center. Other facilities offered include luggage storage and a laundry. 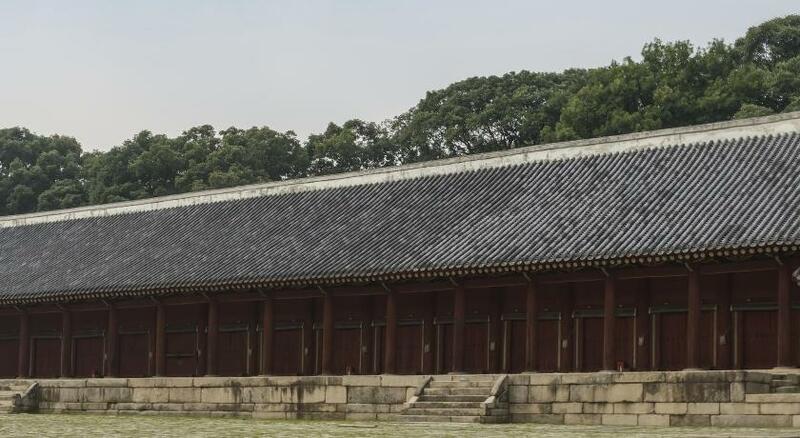 The hotel is located 1,650 feet from Jongmyo Shrine and 650 feet from Gwangjang Market. Gimpo Airport is located 11 mi away, while Myeongdong Market is a 20-minute drive away. This double room is fitted with carpeted floors and a king bed. It has an electric kettle, a minibar and air conditioning. It includes a private bathroom, a refrigerator, a flat-screen TV, and a desk. This twin room is fitted with 2 single beds and has an electric kettle, a minibar and air conditioning. It has a private bathroom, a refrigerator, a flat-screen TV, and a desk. This triple room is fitted with carpet floors and 3 single beds. It has an electric kettle, a minibar and air conditioning. It includes a private bathroom, a refrigerator, a flat-screen TV, and a desk. This single room features air conditioning, cable TV and electric kettle. This family room features air conditioning, bathrobe and electric kettle. Hotel surroundings – This neighborhood is a great choice for travelers interested in culture, city walks and sightseeing – Check location Great location - show map Guests loved walking around the neighborhood! Please note that all breakfast charges for children should be paid at the hotel directly. The staff was not friendly. The breakfast was the same every day. Not a lot of variety of menu’s. Second time at this hotel. First time was great but this time I stayed at 713 room and WiFi signal wasn't good and carpet had with funny smeel. The breakfast price is not good just 100 yards you can find good options for less what they are charging. Hotel staff are always helpful. There weren’t many restaurants to find around the hotel. I was slightly inconvenienced when I wanted to make a local call from my room but couldn’t. I was without service on my smartphone so I was trying to contact a friend to make plans for the following day. It would be better if the hotel can allow earlier check in rather than only at 3pm. Hotel should have a tie up taxi or offer taxi call service especially for outgoing customers with lots of luggages. I have to call a taxi around the corner myself in a rainy day going to the airport. Our room was kinda old and the bathroom was a bit smelly when we arrived. I suppose it wasn’t cleaned well. Shower not water tight so there was water everywhere after..